Manchester United fans are calling for Carlo Ancelotti to replace Louis van Gaal, after the team suffered yet another defeat this season. The Red Devils, although visibly, are better defensively this term, have been very poor as a team overall under van Gaal and the club fans are beginning to lose faith in the Dutchman. After getting dumped from the Champions League in midweek, Manchester United were further humiliated in the Premier League on Saturday after going down 2-1 to the promoted side Bournemouth on the road. Earlier this week van Gaal claimed Manchester United have improved from last season, but the fans doesn’t see it his way and has called on the club top bosses to get rid of the Dutchman before the team falls even further into trouble. 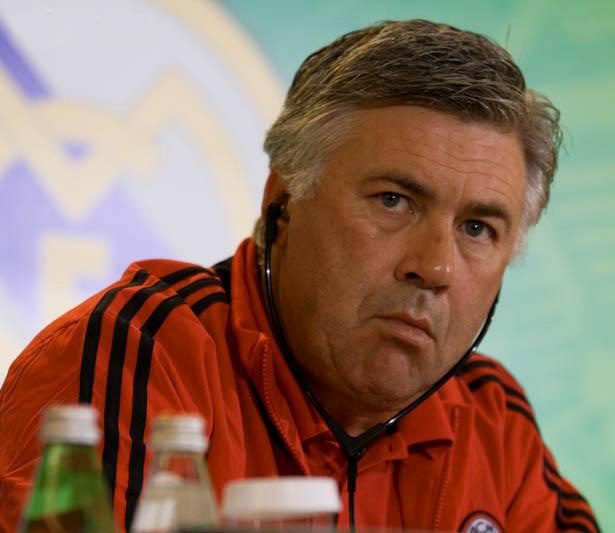 And the man they want to replace him is former Chelsea and Real Madrid manager Ancelotti, who has not ruled out making a return to the English Premier League. Manchester United have also been very boring this season, with even former club icon Paul Scholes blasting the manager for his negative style of play and complicated tactics. The fans are also seeing things the same way. They are also calls for the Dutchman to save face and resign from his post, which would open the doors for a more positive manager to come in and take charge while Man United are still in the title race. Meanwhile, despite the shocking defeat to Bournemouth and heavy criticisms, van Gaal still believes his players are behind him and are still committed to doing what he wants. “It is always like that. It is not new it is a matter of belief. Believe in the manager or not. That is the most important thing,” he said. He added: “The attitude of the players I liked but that is not the only important thing. You have to perform in a certain way. “I was pleased with what I saw in the first half. Spurs fans will be willing their team for a victory on Sunday as a win for Tottenham against Newcastle would see Manchester United falling out of the top four.